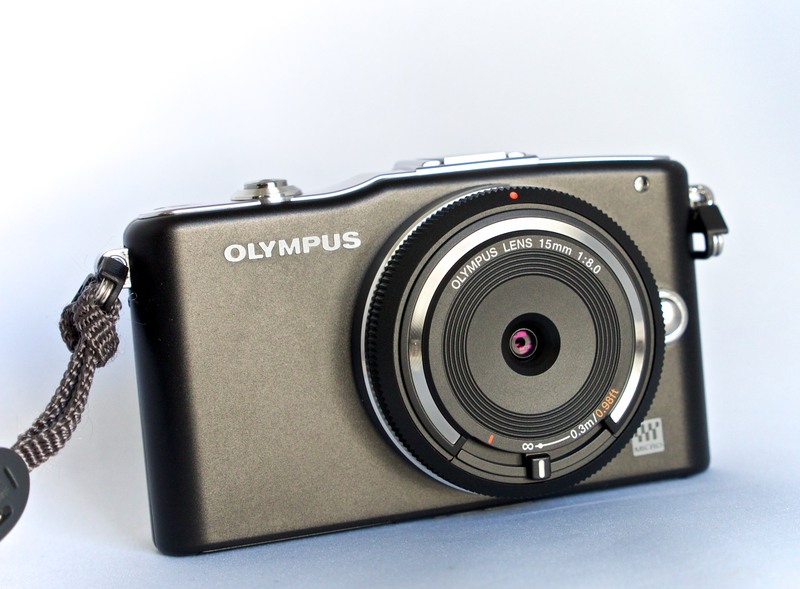 I stumbled across this article, Best Wi-Fi Cameras by Kyle Schurman. To tell the truth, I hadn't realized there were so many models with this capability. I was familiar with the Canon PowerShot ELPH 320 HS ($199) and of course the Canon 6D ($2,100). But there are plenty of models by Sony, Panasonic, Nikon, and Samsung too. 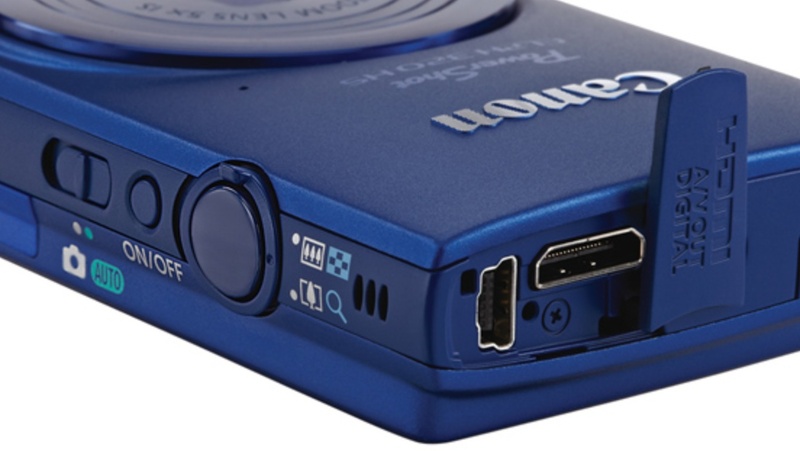 The WiFi camera I'm looking forward to testing is the Canon PowerShot N ($299) once it's released in April. In the meantime, Kyle's article will give you a good feel for the WiFi landscape. Join me on my Instagram site as I explore the world of mobile photography. The Olympus 15mm f/8.0 Body Cap Lens that we first saw back at Photokina is now readily available for $49. This is a great accessory for micro four thirds shooters, and at a terrific price. About the size of an Oreo cookie, the BCL is perfect for your backup camera because it keeps it ultra compact so you can fit it just about anywhere. 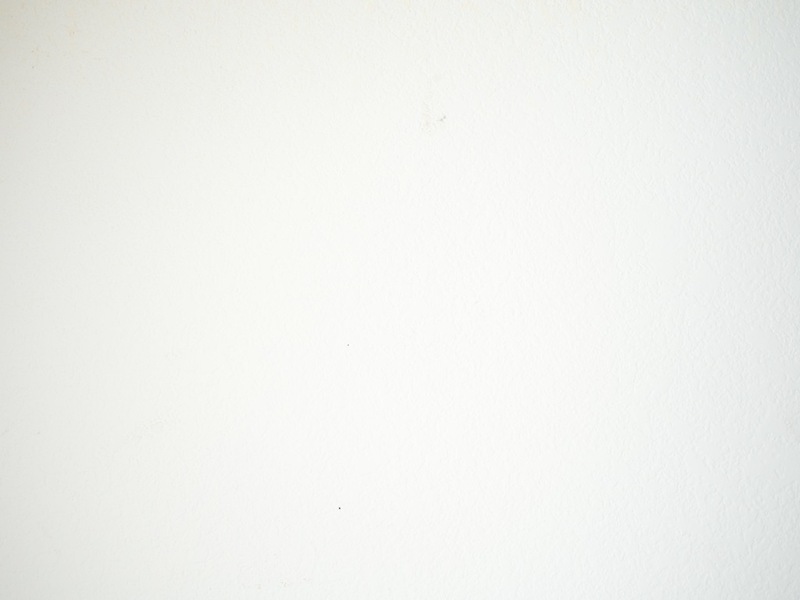 If you need to take a quick shot, move the lever on the lens to the "dot position" and shoot. 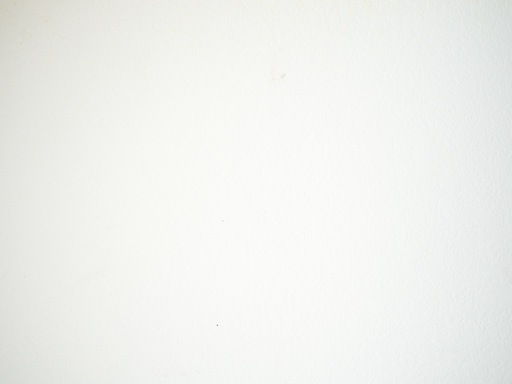 The image quality is remarkably good. It even has a macro mode by moving the lever all the way to the right. When you're done shooting, slide the lever all the way to the left so it lines up with the orange marker. That slides the lens cover in place to protect the optics. My big tip for shooting with this lens is to be sure to line up the lever with the white dot when in regular shooting mode. You'll feel a click-stop there. By doing so, your general photography shots will be in focus. If you're just a bit off in the alignment, they will be out of focus. I really like this accessory. I doubt that I'll be using my regular body caps again. They just seem so one-dimensional compared the the BCL. The LA Clippers visited Oracle Arena on Martin Luther King Day for a matinee game against the Golden State Warriors. Many of the Clippers stars came out for warm ups about an hour before the game. I like to get there early and watch them go through their pre-game routines. DeAndre Jordan refining his footwork with a Clippers coach. To stay within photography restrictions, you have to leave the flash at home and work with short, prime lenses. Anything that extends beyond 3" isn't allowed. I use my OM-D with a Zeiss 85mm f/2.8 prime. It's legal and it's sharp. Blake Griffin practices his free throws. The game itself was a thriller. Warriors came back in the fourth quarter to win 106-99 over the Clippers. Both teams played well, much to the delight of the thunderous Oracle Arena crowd. 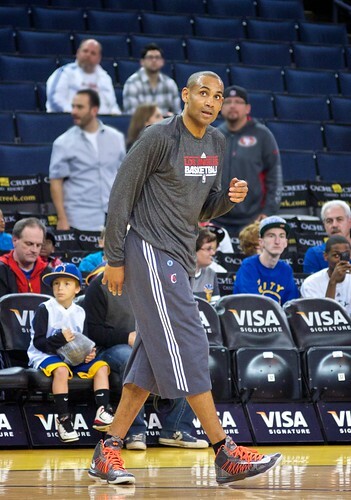 Grant Hill watches a long range shot go down. I like working on portraits before the game because it's easier to isolate the athletes than under game conditions. Plus, it's enjoyable to watch how professionals prepare for their work. This week's stories: 2013 Photo Workshops Schedule, Return of Drobo Part 5, Budget Fisheye, Macworld 2013. Story #1 - Time to start thinking about our workshops for the upcoming season. We have five on the books right now. Let's take a closer look at them. You can get on the Reserve List by visiting the TDS Workshops page. 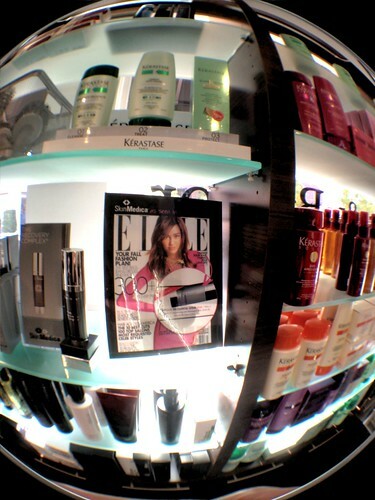 Story #3 - Fisheye for my iPhone - I spent $16 and bought the 3in1 Fisheye Wide Angle Macro Lens kit for my iPhone 4S. Story #4 - Macworld 2013 - I'm be hanging out at the Macworld/iWorld event in San Francisco on the afternoon of Thursday, Jan 31, 2013. If you're in town and attending the show at Moscone West, be sure to look me up and say hi. You can also download the podcast here (29 minutes). Or better yet, subscribe to the podcast in iTunes. You can support this podcast by purchasing the TDS iPhone App for only $2.99 from the Apple App Store. The January 2013 photo assignment is Self Timer. Make Your Photos Sizzle with Color! -- SizzlPix is like High Definition TV for your photography. Special Offer! They're offering a 14% discount for Valentine's Day gifts to significant others, spouses, children ... pix of pets, etc. Valentines day is a month from now, Feb. 14. Orders received by January 30 shipped in time. Just add TDS to the comments field to receive your discount. To help protect the front element of my Olympus M.Zuiko 17mm lens, I like the $7.29 Rainbowimaging 37mm Vented Metal Hood Shade that screws into the front threads. 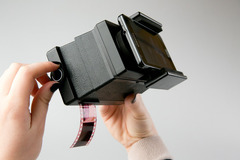 The vented hood is extremely light, which is important as to not stress the autofocusing mechanism of the 17mm prime. I did a vignette test with the Rainbowimaging lens hood on the 17mm just to make sure they were compatible. It looks pretty good. Just a smidge in the corners. But you decide for yourself. Vignette test for Rainbowimaging lens shade on Olympus 17mm f/2.8 pancake lens. Personally, I like the way the Rainbowimaging lens shade looks on the 17mm, especially on my PEN mini. It's a good value and well made. I'm be hanging out at the Macworld/iWorld event in San Francisco on the afternoon of Thursday, Jan 31, 2013. If you're in town and attending the show at Moscone West, be sure to look me up and say hi. Best way to connect will be at the Digital Photography Panel Discussion (on main stage, I believe) led by Macworld Editor Jackie Dove at 2pm on Thursday. I'm on the panel with other Macworld writers including Mark Spencer, Gary Adcock, and Jeff Carlson. After the 45-minute panel, I'll explore the exhibit hall. The Macworld event itself looks terrific. Lots of interesting talks and exhibitors. Hope to see you there. To learn about Aperture, check out my Aperture 3.3 Essential Training (2012) on lynda.com. Also, take a look at our Aperture 3 Learning Center. Tons of free content about how to get the most out of Aperture. 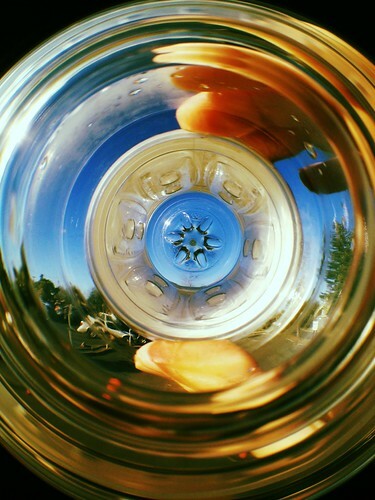 I've had a hankering to play with fisheye photography, but didn't have the budget for a lens for my OM-D. So I spent $16 and bought the 3in1 Fisheye Wide Angle Macro Lens kit for my iPhone 4S. I went with this budget kit because it was affordable and included a snap-on case for the iPhone. That way I didn't have to apply any adhesive to the phone itself. I carry the lens in my pocket, then make crazy photography shots when I have a moment or two of downtime during my everyday life. I'm having a blast, and I'm "scratching that fisheye itch" without dinging my credit card. I like making short movies and publishing them online. And I like trying different looks. So I decided to give the Dramatic Tone art filter a spin for my latest YouTube endeavor. 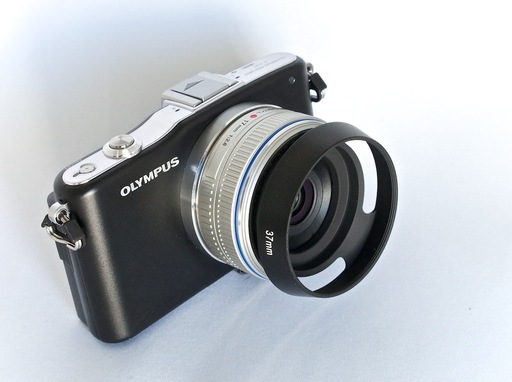 The art filters for the Olympus OM-D E-M5 can be used for both still photography and movies. The Dramatic Tone look intrigues me. For some scenes, like the first shot of the wall safe, I really like it. For skin tones, I don't care for it at all. For a more sophisticated movie project, I'd probably limit the use of the filter to specific scenes. The trick would be blending the overall visual feel for the video using different filters and lighting. But the only way you really get to know this stuff is to fire up the camera and make a movie. After doing so, you can analyze what you like and don't like, then incorporate that knowledge into your next project. This week stories: Hands on with the Canon PowerShot N, falling in lust with the Fujifilm X20, and the Return of Drobo, Part 4. Story #1 - The Canon PowerShot N features a powerful 28-224mm optical zoom, 12 MP sensor, touchscreen LCD that flips open, one button WiFi connectivity to your mobile device, stunning creative filters that can automatically be applied, and it's "shirt pocket" small. Price will be $299 this April. I thought it was the most innovative consumer camera at CES. But is it innovative enough for nimble photographers to slide into their pockets when they already have a capable smartphone? Story #2 - The Fujifilm X20 ($599) reminded of just how handsome and capable a compact camera can be. Inside its die-cast magnesium body is a new 12MP 2/3" X-Trans CMOS II sensor coupled to a Fujinon 28-112mm f/2-2.8 zoom lens. Fuji's sensor is larger than much of its competition, including the Canon G15 and Panasonic LX7 that both use 1/1.7" chips. The X20 now features an advanced optical zooming viewfinder that has an information overlay so you can see the current exposure settings while composing the shot. This is well implemented, and a welcome upgrade to the x10's viewfinder, which was good to begin with. Additional features include an Intelligent Hybrid AF System, full HD 1080 video at 60fps, RAW capture, built-in film filters. Story #3 - The Return of Drobo, Part 4. Since only my MacBook Pro Retina Display has Thunderbolt connectors, which I had been using for this project, I decided to try out the Drobo 5D using its buff USB cord included in the kit, and connecting it to my second generation (2009) MacBook Air. For sorting and viewing images in Aperture reading the library located on the Drobo, performance was quite good. Where I noticed a difference was loading the data for RAW files in the Adjustments Inspector. There was a short delay from the time I opened the image until the adjustment tools were ready for use. My conclusion is that I can view images, add metadata, and sort from the Aperture library using the humble USB 2 connection from my older MBP Air. But if I want to engage in serious image editing of RAW files, I should use the Thunderbolt connectivity on my newer MBP Retina Display. Keep in mind however, that the USB port on the 5D is version 3. I was using USB 2 on my MBP Air. In the next installment, we'll see how USB 3 fares on the newer MBP.